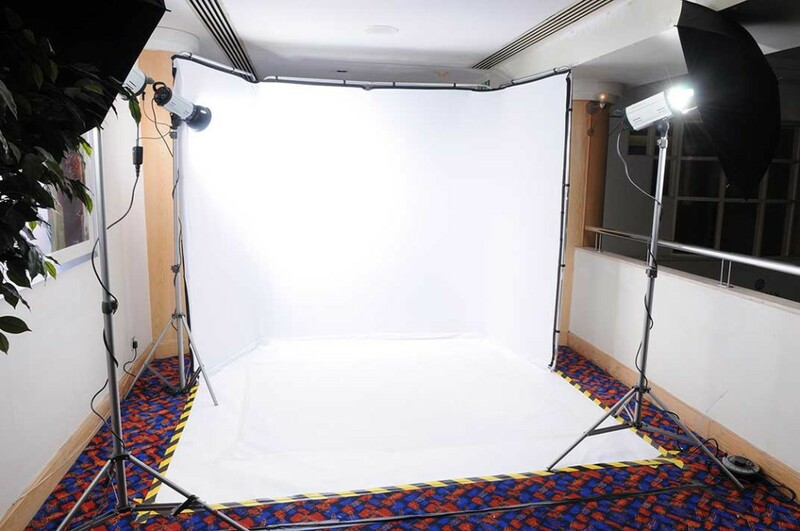 We use a Lastolite background, lots of flash heads to provide perfect even lighting for our guests and their glamorous outfits, wireless image transfer from the camera to PC, where our guests can preview their photos within seconds of having their photo taken and choose the best, or come back for more. And a Dye-Sublimation printer (just like the ones at Boots and Jessops only smaller) where we can print your photos up to 6″x8″ and have them framed and ready to go in a flash. Suitable for Charity fundraisers, School Proms, Black tie affairs, basically any large event where people are dressed up and looking their best, we even get asked to bring it along to weddings where we put together photographic guest books for the bride and groom to take with them on honeymoon! You name the event and we’ll be there to cover it. And depending on the size of your event we may even pay you for the privileged of being there. Now how’s that for a great deal!